Though the accomplished author who made fun of me in the comments for using a real word was joking, I thought I ought to do a post on triadic color schemes. 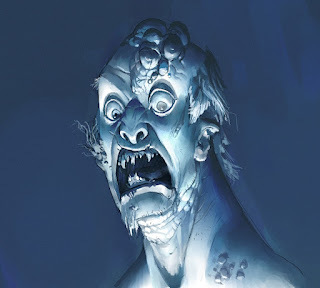 Since James Gurney has already covered this subject in great detail, rather than cover the basics again, I'll just add a few thoughts to the discussion. Many color schemes work just as well whether you are using the traditional color wheel (ROYGBIV) or the color wheel of light (RBG). 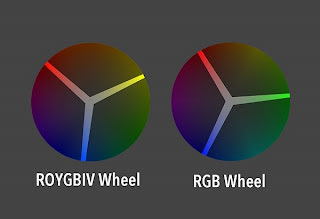 While the ROYGBIV wheel stretches the warm end of the spectrum, making the wheel a little more polar in its temperature, red and cyan resonate against each other as complements just as well as, and possibly more strongly than, red and green. 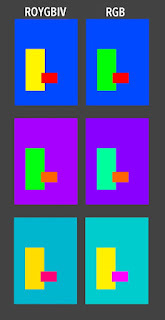 Same is true for magenta and green, yellow and blue (which is closer to indigo on most monitors), and so forth. However, triadic color schemes---images using three equidistant colors from the color wheel---don't act the same in both wheels. This is probably because of the stretching I talked about above. The advantage to a traditional triadic color scheme is that its even nature comes across in images using it. It's not an exciting color combination, but the even and predictable nature of it makes it comfortable, almost friendly. 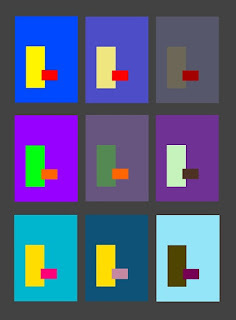 A triadic scheme from the RGB spectrum still works fine if you are just looking for interesting color combinations. But for some reason it doesn't achieve the same effect as the ROYGBIV version. This may not be a surprising discovery to some, but I've noticed that the farther you push a color scheme away from peak saturation and value, the more you lose the strengths of that color scheme. However, the colors still retain a shadow of what they used to be, so even at its extremes a color scheme has a hint of the message that goes along with it. See how much more off-putting and aggressive the character appears in the second one? These all might switch places depending on the image, but the point is, don't count on a color scheme to solve your problems if your drawing, lighting, etc. aren't saying what they're supposed to. So think of color schemes as modifiers: A friendly color scheme won't fundamentally change how you feel about an image, but it might layer in subtext or cast something unexpected into the tone of an image. I'm surprised how good your chameleon looks even after shifting the hue of the entire piece.... usually if i try that with a painting (or a texture), it completely falls apart. If I plan on making color variations of a texture after i'm finished, is it best to start with a triadic scheme? 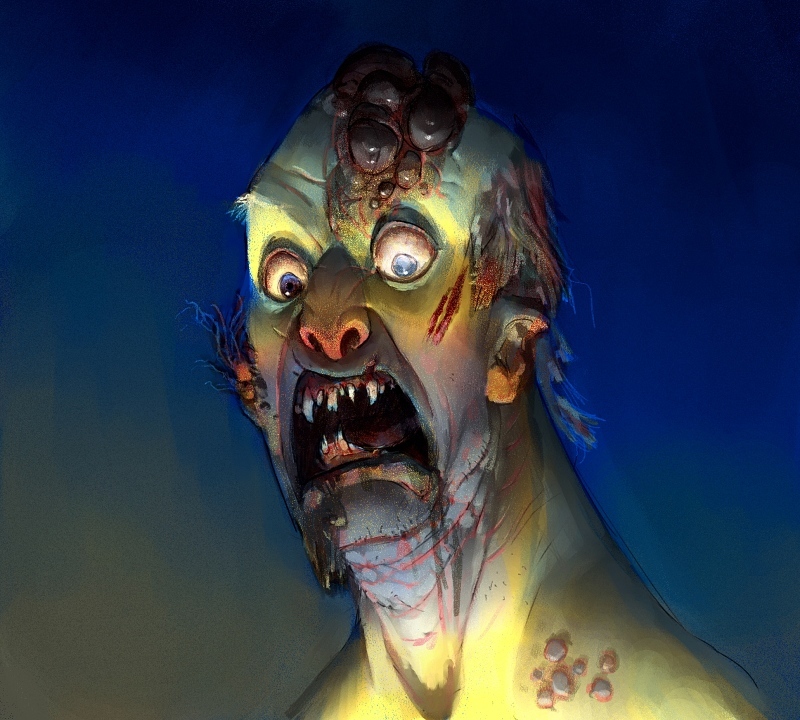 Tyson: It's not just a color shift, I had to do a bit of coloration by hand to get it right. What makes things fall apart when you do a color shift is when there are variations in hue and saturation as the light wraps around the form (as there should be). Getting those parts to look right after the shift can be very hard. I don't imagine it would matter whether you used a triadic scheme or not. His works are fantastic Sam. His tutorials are helping me a lot. You are an inspiration to us all. Oh. This may explain why I get so messed up sometimes trying to color correct all these family photos I'm archiving. I'm working in RGB with a mind that's spent sixty years in a traditional colorwheel. I'm blinking a little bit here. Trying to wrap my head around this. 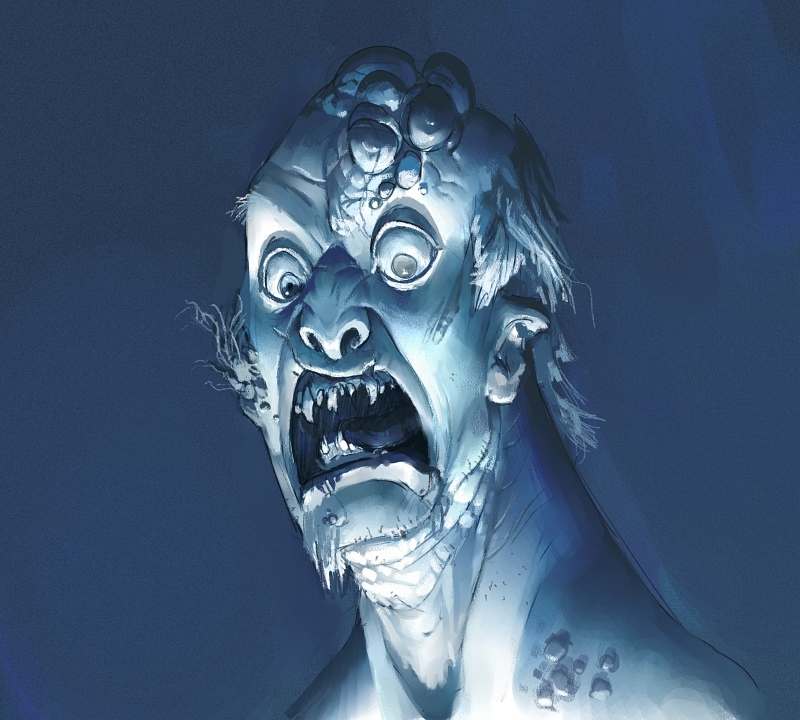 My monitor is RGB; I use levels to do the work - but what I see and the way it interfaces with what I remember from the real world - adding, mitigating, changing levels sometimes just doesn't have the effect that I thought it would, and I tend to forget about the CM elements at all, not working with them much. My instincts are almost counter-useful. Tiny vacations in learning here - a little mind stretching for old dogs. That scale of importance is really helpful. I was wondering about the Ives color wheel? How do you feel it compares to the ROYGBIV one? Or any other thoughts you might have on it. 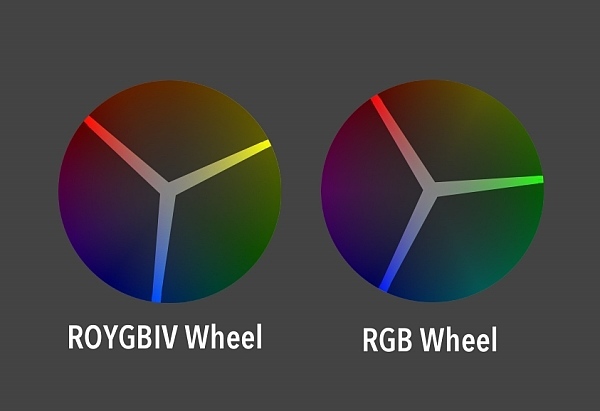 Matthew: The Ives color wheel is, in this context, identical to the RGB wheel. The arrangement of complements and triads is very similar. 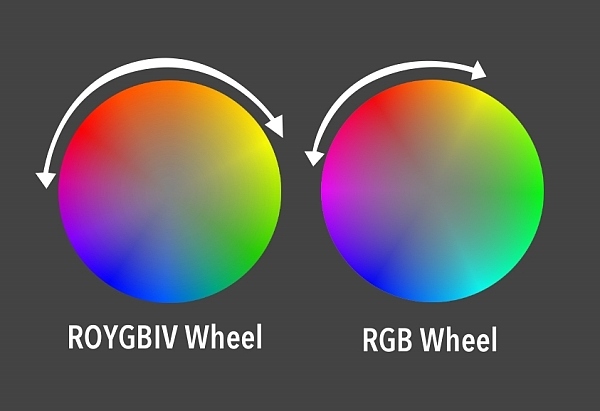 The Ives color wheel is basically the CMYK palette for traditional paint, so all the limitations you run into with print will also apply here (but it is much easier to mix many colors from it than using traditional primaries). But digitally, it's the same as RGB. yes ! That scale of importance is really helpful indeed !!! I think it deserves a whole other big post even ! This is a great post once again. For those working digital I recommend the colorscheme designer : http://colorschemedesigner.com/ which is a free online tool, but it helps to understand what one can do with this mighty tool. Je suis heureux de chercher votre stratégie distingué de développement de la publier.